There are many pathogenic fungi that afflict both animals and plants. Some of them develop on plants and are later transferred to humans through consumption, causing infections. Some can even be transferred to humans indirectly. For example, when livestock is fed with contaminated grain, all products originating from the animals can contain certain amounts of fungal toxins. Therefore, the toxins can spread far and wide, and even people who have never come into contact with the mold itself can be affected. Such is the case with Aspergillus flavus, perhaps the most significant fungal species from an agricultural standpoint. This article reviews the Aspergillus flavus mold, its impact on human health as well as effective ways of fighting it. 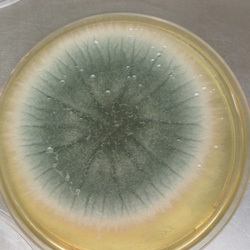 A. flavus is the second most common species to be identified in human infection, besides A. fumigatus. In nature, it is usually found growing in soil as well as dead plants and animals. 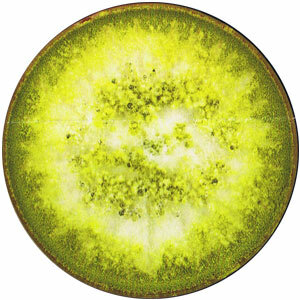 Initially, A. flavus colonies appear yellow-green in colour, but with time, they turn a darker green. The texture is wool- or cotton-like and sometimes granular. A. flavus is allergenic and is a known pathogen of plants, humans and animals. The fungus can infect seeds of corn, peanuts, cotton and nut trees, both pre- and post-harvest. It can cause aspergillosis as well as produce aflatoxin, a carcinogenic mycotoxin. It has also been reported to cause nasal sinus lesions and other invasive diseases . 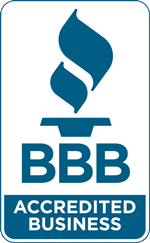 If you are worried about mold in your home, contact Mold Busters today to learn more about our mold testing and mold removal services. 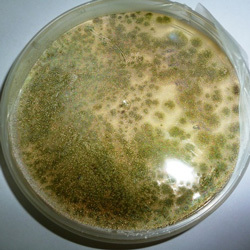 What is Aspergillus flavus mold? Aspergillus flavus is a very common and well-known species of fungus. It has cosmopolitan distribution and mostly grows in warm soils and on decomposing material. 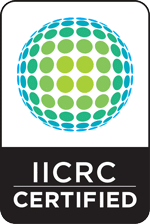 It can infect many important agricultural crops, leading to yield losses that have been reported to be worth millions of dollars . A. flavus produces several mycotoxins, primarily aflatoxin B1 and B2, which cause acute liver damage, cirrhosis, and are known for their immunosuppressive and carcinogenic properties. Aside from the aflatoxins, A.flavus produces cyclopiazonic acid, which contributes to the degeneration and necrosis of various organs, but has low oral toxicity . Aflatoxin contamination is a major problem in developing countries. Contaminated maize has been responsible for the death of hundreds of people in Kenya in recent years, and its use in dog foods has killed over 100 dogs in the United States in 1998 and 2005-2006 . What are growth rates of Aspregillus flavus? 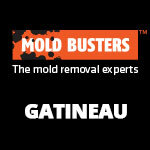 This mold can grow at an incredibly wide range of temperatures and pH values. Optimal growth rates are achieved at 33°C, but can grow anywhere in the range of 10–48°C. Like most molds, it requires a moist environment to grow. Optimal water activities depend on temperature, but it can grow at values as low as 0.78. Similarly, it shows a wide tolerance for pH values, growing from as low as 2.1 to as high as 11.2, with optimal growth observed at 3.4–10 . 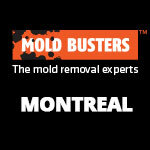 Where does Aspergillus flavus mold appear in the house? Although this pathogenic mold is usually found outdoors on dead plants and animals, it can also be found inside the house. 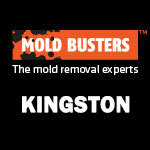 Don’t be shocked if you bump into the mold in your house, as this is a relatively common occurrence. The most common place to find A. flavus is on carpets. You will discover that your water-damaged carpet is a comfortable home for the A. flavus mold colonies. Building materials are also another good habitat for the fungus. A moist environment is the best condition for it to grow and multiply. You would be surprised if you looked around your house through a high-resolution microscope. Microscopic spores, known as conidia, are ever-present in the air around us. Most of the time, there is no need for alarm, but if these spores happen to land in an environment that suits them well, they will rapidly develop into visible mold. The fungus can also enter the house through plants harvested on the farm. It could even be in your food, if you have any products such as meat, milk or cheese that originate from animals that have been fed contaminated grain. Therefore, be wary of food from untrusted sources. Most A. flavus infections that affect humans are the result of the inhalation of fungal spores. In most cases, the immune system quickly deals with these unwanted foreign bodies, but immunocompromised individuals or those with underlying pulmonary diseases (such as asthma) can develop further complications. Furthermore, spores can make their way into the eyes and ears. In susceptible individuals, aspergillosis can cause arthritis , which can be manifested with fever, pain, swelling, joint tenderness and restricted range of motion. Antifungal agents can aid in treating this condition, although severe cases may call for surgery. Another serious health effect of A. flavus is related to aflatoxin poisoning, or aflatoxicosis. Acute exposure can cause nausea, vomiting, abdominal pain, convulsions, pulmonary and cerebral edemas, severe liver damage, and ultimately death. What disease and infection does Aspergillus flavus cause? 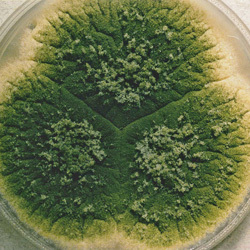 In human beings, A. flavus spores cause aspergillosis. This is an infection that mainly attacks the respiratory system, but can also affect the eyes and ear canals. People with weak immune systems are the most and easily affected group. Underlying issues like asthma and tuberculosis are the basis upon which severe aspergillosis can develop. Those with a stronger immune system can only feel a mild allergic reaction. In rare and extreme cases, invasive aspergillosis can result when the infection is left unchecked and manages to spread to the circulatory system, lungs, brain, skin and beyond. Fever, coughing blood, wheezing, fatigue and severe asthma are the common symptoms of this infection. Severe cases of aspergillosis are life-threatening. Why does Aspergillus flavus produce aflatoxin? A. flavus will produce aflatoxin if the temperature is above 15°C and the water activity above 0.90 . Aflatoxin contamination can occur pre- or post-harvest and affects many commodities, including but not limited to peanuts, corn, wheat, millet, rice, sesame seeds, sunflower seeds, cotton seeds and tree nuts. Animals fed contaminated food can pass the aflatoxin into their products, such as eggs, meat and milk products. The reason for their production is unknown. As secondary metabolites, mycotoxins are not necessary for the growth of fungi. A possible theory is that fungi use mycotoxins to weaken their hosts and thus provide an environment with less resistance to their development. How to prevent and remove Aspergillus flavus? If you’ve read this far, you will definitely agree that Aspergillus flavus is a dangerous mold, both to the health of humans and plants. This is because severe aspergillosis can cause death, especially for patients with weakened immune systems, and also because of the threat of aflatoxin contamination of many important agricultural products. Preventing this pathogenic fungus from growing in our homes is an impossible task. The conditions that humans require for living overlap with those required by mold, so preventing its growth would make our homes inhospitable to ourselves! For this reason, removing the fungus is the next best option to take. 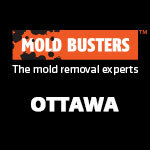 Mold Busters is a company that provides professional mold remediation services for toxic molds. We are the leaders in this industry, utilizing the latest technologies and most advanced equipment. Our certified mold technicians are experts in removing Aspergillus flavus mold (and many others) from all parts of your home or office. This can save your life as well as the lives of your loved ones. We offer affordable services that will effectively eliminate Aspergillus flavus from your home, including air duct cleaning, odour removal, de-humidification and moisture control, testing for and removing mold, mold-proofing basements, infrared inspections, and antimicrobial treatments. Our objective is to ensure quality of life through quality of service. Call us today to book your appointment.